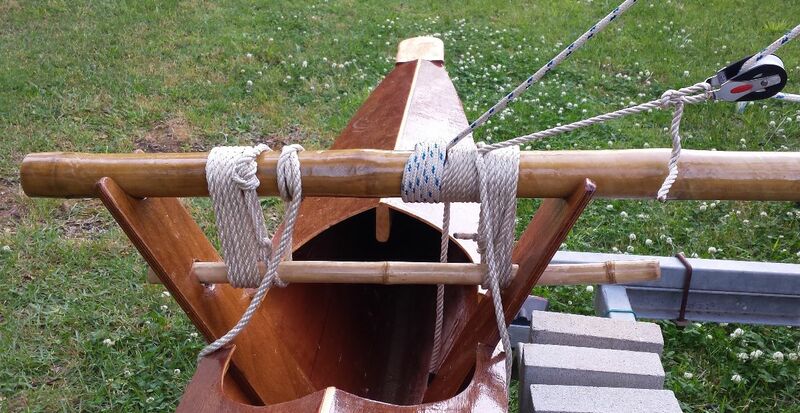 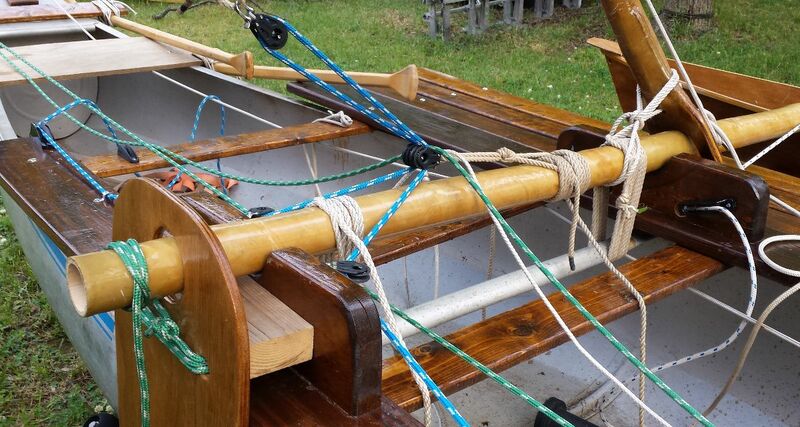 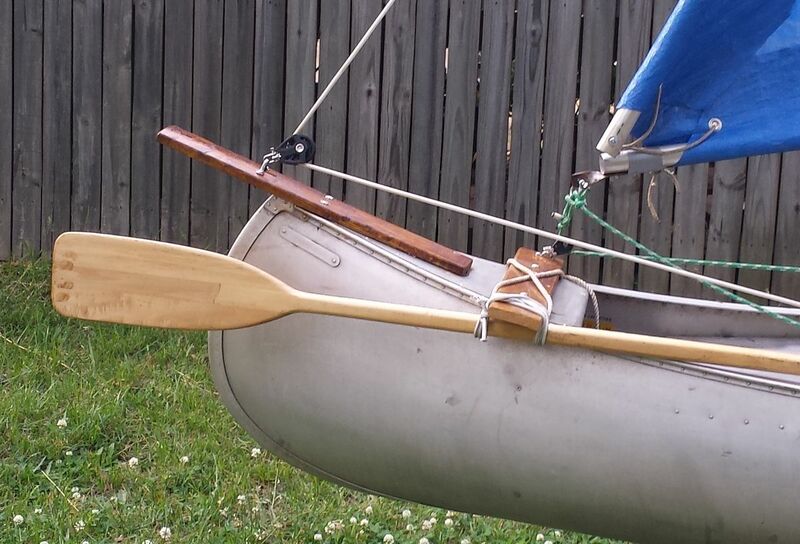 I've spent the last six weeks or so upgrading my 17 foot grumman canoe into a pacific style proa wannabe complete with shunting rig and lanteen style sail. 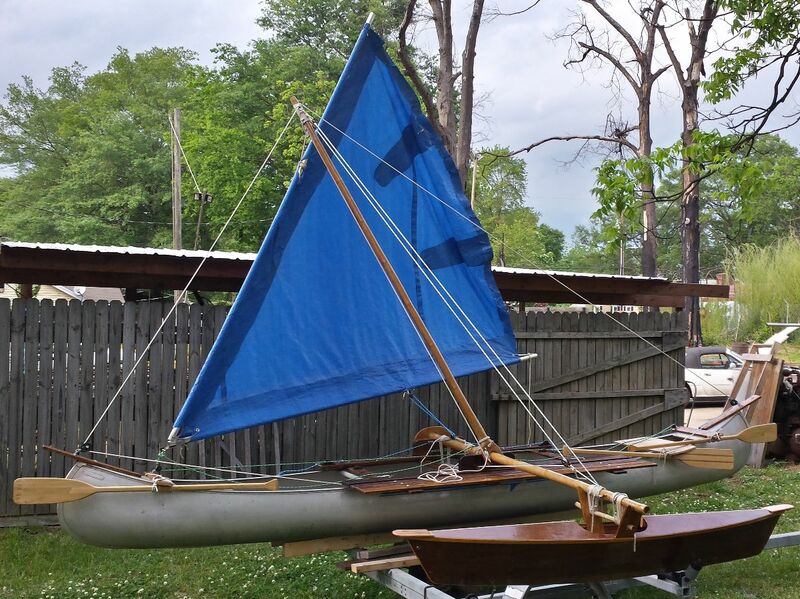 Ultimately I would like to have a crab claw sail but I've been out a few times now and the rig is working pretty good. Added quite a bit of bonafide sailboat hardware... can trim the sail from either end.... v jam cleat stops on most adjustments.